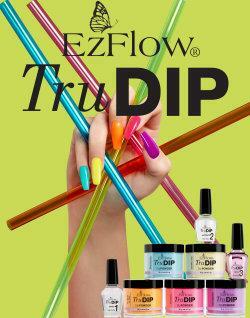 A simple, easy 3-step system to design captivating acrylic nails in half the time! This simple and easy application process requires no sculpting and minimal filing for a quick, precise acrylic manicure. Finished nails are lightweight and durable with a glossy finish. System removes easily with a 10-minute soak.